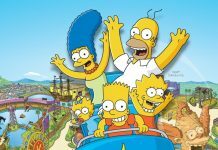 Laissez les bons temps rouler at Universal Orlando! The annual Mardi Gras event is back and bigger than ever, featuring new floats and an expanded presence as the event now runs for 60 straight nights. The event also boasts an impressive lineup of performers such as Jason DeRulo, Toby Keith, and Fifth Harmony. Since the event started on Feb 4th, we’ve checked out the event to see how this year’s event shapes up – and we’re glad to say it continues the “N’awlins”-inspired, family-friendly experience we’ve all grown to love. The French Quarter Courtyard still has many of your favorite food and drink as year’s past, such as – Jambalaya, Andouille Sausage, Red Beans & Rice, and Gumbo. If you want to play it on the safe side, they do offer Chicken Tenders, Cheesesteaks, and Twisted Taters (a spiral cut, deep fried potato on a stick). If you’re in the mood for some good ol’ cajun cuisine but can’t decide, a combo plate is available and highly-recommended. It features gumbo, jambalaya, and andouille sausage to get your Bayou fix of the night. If your sweet tooth needs some indulging, you can’t go wrong with some beignets or king cake. 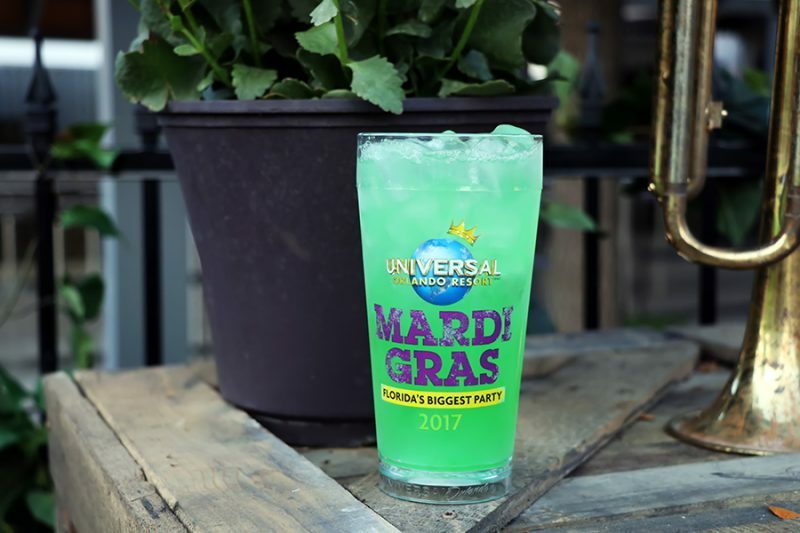 For drinks – Universal has moved on from the stand-alone pre-mixed-fruit punch you would find year after year at both Horror Nights and Mardi Gras. This year, we now have a selection of 5 unique libations to choose from. Ragin’ Rumbalaya – a Pina Colada/Melon mix – and Carnival Cocktail – a citrus drink reminiscent of Sunny Delight – are available as a standard mixed drink or frozen. Berry Vicious VooDoo – a mixed-berry concoction – is only available in frozen. Masquerade Madness is a combination of all drinks and is available frozen and mixed; but only includes Ragin’ Rumbalaya and Carnival Cocktail for its mixed version. All frozen drinks typically are served non-alcoholic, so you do get the choice of adding either rum or vodka if you wish to liven up your night. Something to keep in mind if you’re attending on a non-weekend or off-peak night; some of the tents are closed due to less demand. During our visit during the week, chicken tenders and shrimp po’ boys were not available and there was less bar tents open. 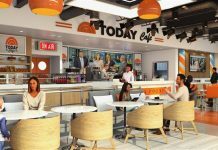 There is still plenty of options to choose from, but if you were looking for a specific dish – be mindful that it may not be available. Of course, while you’re hanging out in the French Quarter Courtyard, it offers a great opportunity to meet and take pictures with the street performers that will be taking part in the parade later in the night, as well as getting a heard start on your bead/coin collection for the night. There are 2 sets of 6 groups, each representing the float’s theme, and usually change out every 30-45 minutes. Last call for photos is about an hour before the parade starts. Another change this year is there is not a set stage constructed for the weekly, local New Orleans band, which allows the band to roam the streets before the parade & concert to interact with guests and street performers. It also helps alleviate congestion, which limits guests from congregating in one area in an already busy French Courtyard. This year, the Mardi Gras parade features 6 new floats, all themed to mythical creatures. It was surprising to see that none of the newer floats from recent years, especially those added last year, were not included in the line-up. As far as the new floats, each one is fantastically designed – as to be expected since the parade’s elaborate, hand-crafted floats are built by Blaine Kern Artists – the same company that designs floats for the Mardi Gras parade in New Orleans. 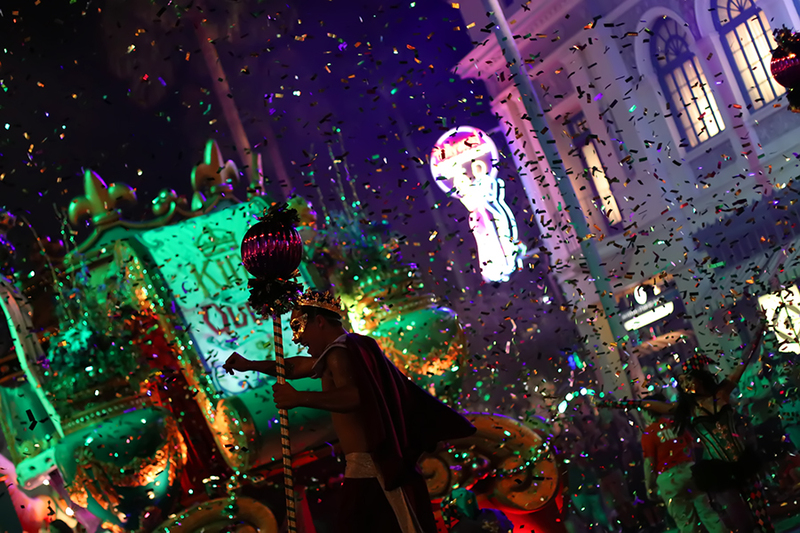 The traditional floats – such as the Krewe, King Gator, Riverboat, King & Queen, French Quarter, and Jesters – are still included in the parade. The new float line-up includes Manticore’s Majesty, The Rise of the Garuda, The Dance of the Dragon, Phoenix from the Flames, Garden Sprites, and The Flight of the Pegasus. Remember, Mardi Gras is included with theme park admission. If you’re planning on heading out this year, we’ve prepared a guide that offers some tips and planning advice; as well as more details on this year’s acts and times. No mater your reason for visiting, there is there’s always 2 things you can count on at Mardi Gras – a good time and lots of beads. Lots and lots of beads.